Has anyone thought of why first day of Chinese New Year, we have to have a pot of Chinese Dessert like Longan, Lily Bulb and Lotus Seed ? Honestly, I didn’t know much about it… but since this was being cooked in the family and I see almost every family practiced it that way, I guess it won’t go wrong if you follow that too. 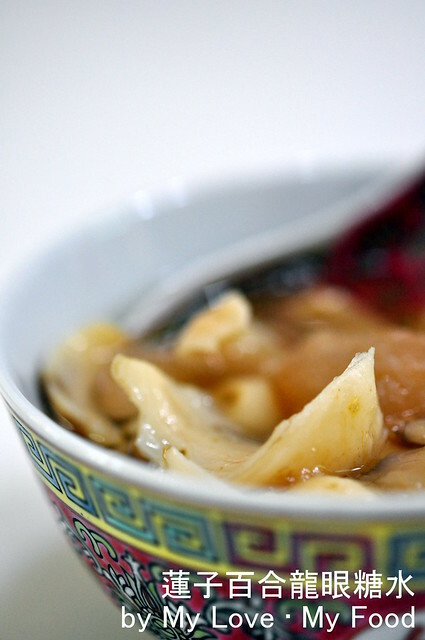 My type of Chinese dessert is the simplest among all… well, basically given a few hours and it has to be cooked and taste nice it has to be simple, right? Talking about Chinese New Year… after all, we are still in that mood, might as well talk something about it… I can understand why would every family the woman that cooks will have little time of sleep. Reason is because every now and that the person that cooks or prepare food would have to get up early to prepare. Even for this simple dessert, lotus seed has to soak for an hour before we could boil, as we have to remove the stem. Because it’s bitter. Even the lily bulb has to soak for few minutes too. And all these needed some time to prepare, isn’t it the person that prepares the food got to have enough time for that? In fact, I truly understand all that after I live on my own. 1. 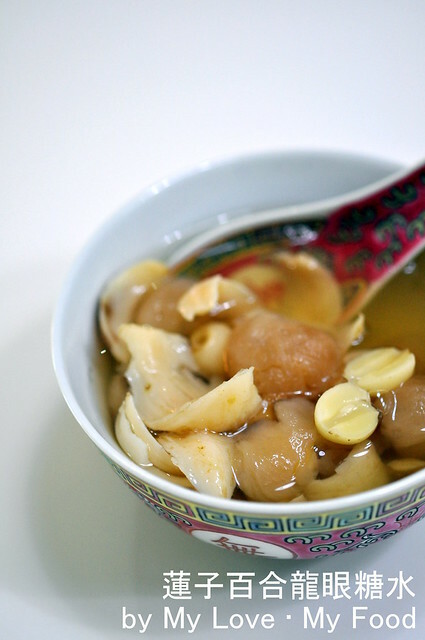 Soak the lotus seed for almost 2 hours, then after remove the stem. 2. 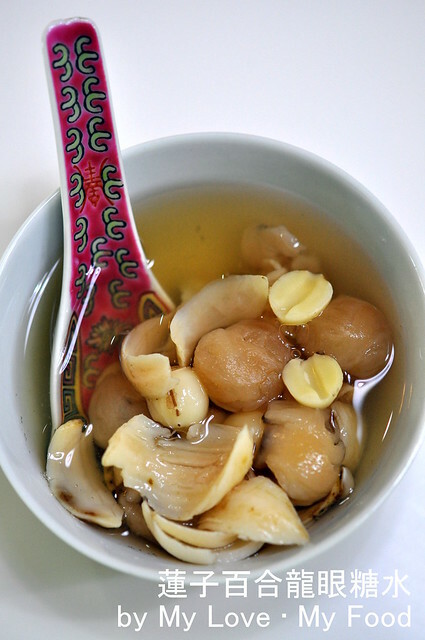 Soak the lily bulb for about 30mins, wash and clean, same goes for the dried longan. 3. Boil a pot of water for about 2 liter, add in all the ingredients. 4. Boil for about 2 hours, before serve, add in the rock sugar. 5. Once the rock sugar dissolves, ready to serve. This one not bad.. thanks for sharing..